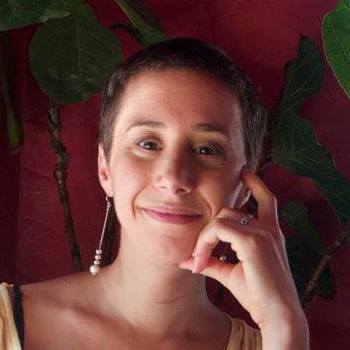 Naomi Gingold has lived and worked across Asia and the US. Her reporting covers a wide range of areas but specialties include: technology, international affair/politics, health, and the arts. She also has a background in music production and will be always on the lookout for the perfect bridge to play Pooh Sticks. This is why the head of Indian Affairs offered up a Colorado reservation as a site to imprison Japanese Americans during World War II. Utada Hikaru was the first Japanese musician to do it all. Sing, write and be a pop star. She quickly became one of the country's most successful musicians — a position no one has managed to take from her. In Buddhist-majority Myanmar, sometimes it's better to be an atheist than a Muslim. Around the world, Aung San Suu Kyi is seen as the symbol of the fight for freedom in Myanmar. But inside the country, she shares the spotlight with her father, who won independence from Britain but was felled by an assassin. Nearly five years after the tsunami and nuclear meltdown in Japan, thousands of people still haven't been able to put their lives back together. So a Japanese Buddhist monk developed with a pop-up cafe to cater to their needs. Hurry up and get married? Comments sparked furor in Japan. But little more. A male lawmaker apologized after trying to put down an assertive female colleague. A year later, though, little has changed.